Use SmartAsset's mortgage comparison tool to compare refinance rates from the top banks and find the one that best suits your needs. 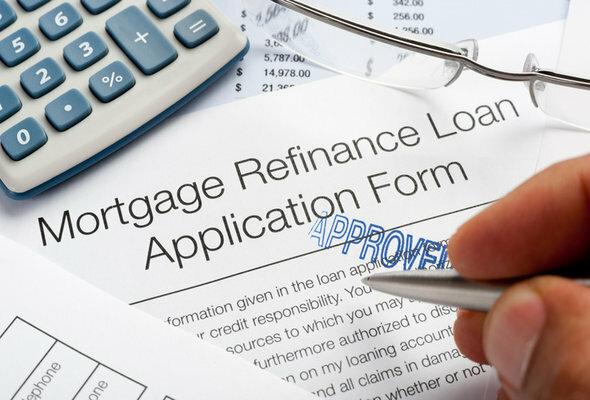 Getting a great deal on a home mortgage refinance depends largely on the refinance rate you get. The conventional wisdom goes that it’s not worth refinancing if you can’t get a rate that’s at least 1% lower than your current mortgage rate. And it’s not just because refinancing involves hassle and paperwork. Refinancing a mortgage costs money, too, so you want to make sure that you at least break even on the transaction. But before we get into the weeds, let’s go over the basics of how a refinance works. 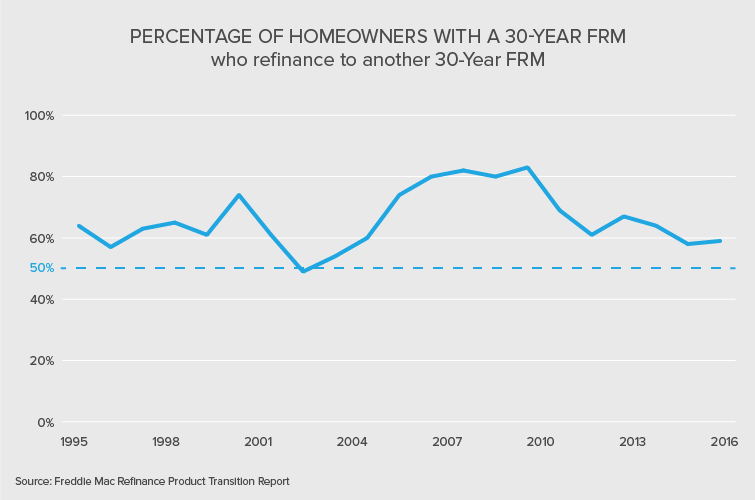 The term “refinance” can be a bit misleading. When you refinance, you’re really getting a brand new mortgage. The new mortgage pays off your old mortgage, and you have to pay back your refinance mortgage in a timely manner. But to refinance, you’ll have to go through a lot of what you went through to get your original mortgage. That means applying for the mortgage (and having the credit score to quality for a low rate), dealing with paperwork and paying closing costs and other fees. You don’t have to use the same mortgage lender you used for your first mortgage but even if you do, you’ll still have to pay closing costs. So why do people bother to refinance if it’s such an investment of money and effort? In many cases, it’s to pay a lower interest rate on their home loan. If you initially get a mortgage with a rate of 5% and learn you can refinance to a mortgage with a rate of 4%, you might decide it’s worth the cost and trouble of refinancing to nab that lower rate. But getting a lower refinance mortgage rate is not the end goal in itself. The end goal is usually lower monthly payments. That means more room in the homeowner’s budget, less money paid to the lender and more equity more quickly. In other cases, homeowners will refinance to get access to the money they have stored in home equity. As you pay back your mortgage, in payments that consist of both principal and interest, you gradually own more and more of the house. The amount of principal you’ve paid back is your equity. A cash-out refinance enables you to take some or all of that equity out and use it for say, home improvement, credit card debt repayment or to cover an emergency. When you refinance, whether you take out cash or not, you re-start the equity clock. Your early payments on your refinance mortgage will go primarily to interest, just like they did when you first started your home purchase mortgage. And if you refinance from one 30-year mortgage to another, you’ll be paying a mortgage on your home for over 30 years. If you want to be free of your mortgage sooner you can always refinance to a 15-year mortgage, but few people do this because it involves higher monthly payments. Say you pay the closing costs, the inspection fees, appraisal fees, title fees, attorney fees and more, all to refinance your home. By the end of the process you’ve spent thousands of dollars. Now say you get a job in another city and decide to move, walking away from the mortgage you’ve just refinanced. You’ll never recoup what you spent to refinance your mortgage. That example illustrates what’s probably the biggest risk involved in refinancing – namely, that you’ll lose money in the process. That’s why experts generally agree that refinancing to a mortgage with an interest rate that’s only a fraction of a percentage below your current rate generally doesn’t pay. But basing your refinance decision on the interest rate alone (as per the 1% rule we mentioned above) is over-simplifying things. That’s why using a refinance calculator like SmartAsset’s can make it easier to figure out whether refinancing will pay off. The calculator takes into account your home value, your current mortgage terms, your location and whether you want to take cash out when you refinance, as well as your refinance rate. If refinancing is so great, why doesn’t everyone do that? It’s actually a question that has puzzled economists and housing policy analysts. It’s estimated that millions of Americans missed out on the chance to save money by refinancing their mortgages after the housing crisis. Some of those millions of homeowners may not have realized that refinancing was an option, or may not have qualified for a refinance because of their credit scores or income. But even among homeowners with excellent credit there were missed opportunities to refinance. Refinancing a mortgage is exactly the kind of task that most of us like to put off, or avoid altogether. It takes sustained attention to detail, plenty of paperwork and wrangling with a bureaucracy. No wonder more people don’t do it. That’s all to say that if you take advantage of the savings offered by refinancing, you’re ahead of the personal finance curve. But it’s only worth doing if you’ll actually save money in the process. That means being realistic about how long you plan to stay in your home, getting your credit score in order, finding the best refinance rates and saving money where you can, such as on inspection fees and closing costs. Before you decide to take the plunge, take a look at current refinance rates and compare them to the rate you're currently paying. Then play around with our refinance calculator and see whether refinancing makes sense for you. SmartAsset's interactive map allows you to see the counties that are missing out on refinance savings. Zoom between states and the national map to see the top spots in each region. Also, scroll over any county to learn about that region's refinance savings opportunity.